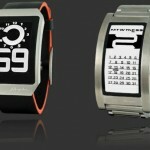 E Ink technology is slowly finding its way into many devices you use in your daily personal electronics interaction. 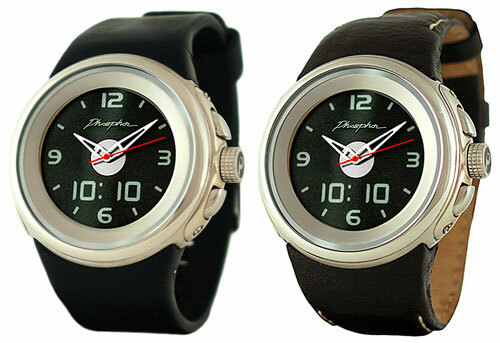 One of the newest is a wristwatch which tells you the time digitally. 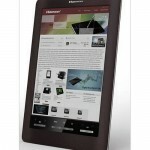 It is on sale for around $250. 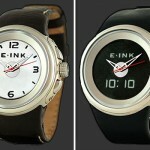 The E-Ink Display Watch use the E Ink technology to provide a crisp digital display which Think Geek says can be read “accurately and instantly from any angle.” There are 16 different display options, when you consider you can choose from four different dial looks, two different color options and digital time to date display. Estimated battery life on this watch is around two years. Other features include a choice of bands, oversized buttons and knobs, inversion from black on white or white on black imaging and water resistance to 50 meters. It is available now.